Euroteck have been an approved systems integrator for Gulmay since 1999, and offer a complete range of high stability, high frequency equipment. 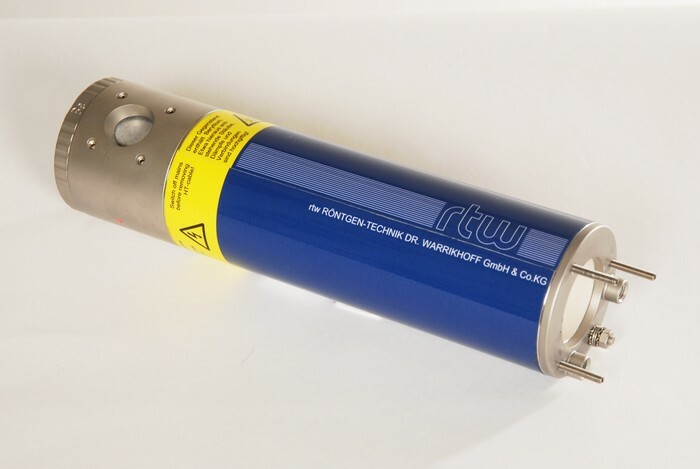 These UK manufactured constant potential systems have an enviable reputation for reliability and performance, with the added benefit that UK manufacture means UK support and the possibility for HV repairs in the field. With output power ranging from 10 kV to 450 kV and 640 W to 7.5 kW in both unipolar and bipolar configurations, Gulmay’s unique product flexibility means there is a generator ideally suited to any X-Ray inspection demand. If your requirement is for even higher output, Euroteck Systems can offer the Comet XRS-600 X-Ray with output from 20kV to 600kV. 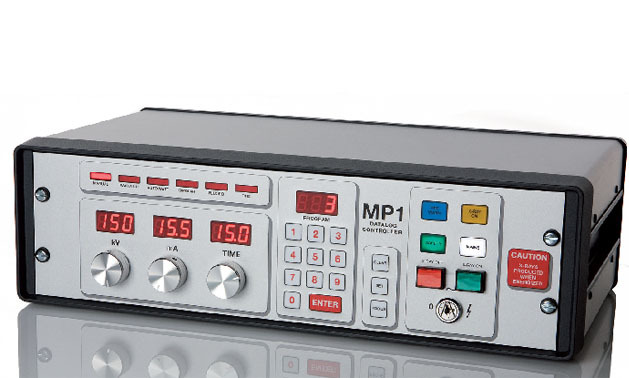 The latest MP1 controller has advanced data logging software, a feature that means the log error code files can be quickly accessed to assist with rapid diagnosis and repair. With 8 operating modes, 5 warm up modes and programmable with up to 600 techniques, the MP1 provides dedicated control of all generator functions through a rugged front panel designed to withstand the harshest of operating conditions. All Gulmay generators can be controlled directly from a PC using RS232, RS422 or Ethernet connection. This feature is useful for systems being intergrated into a larger facility or if the X-Ray system is being used with Digital Radiography. 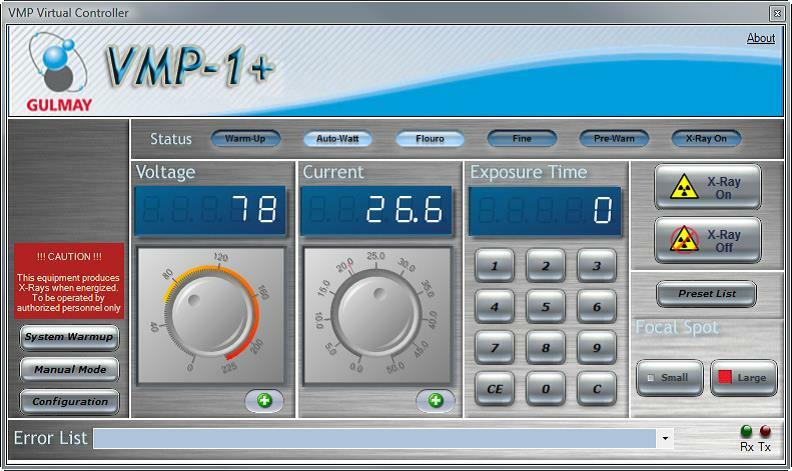 For these applications the MP1 controller is not required. Euroteck combine these systems with the most appropriate X-Ray tube for the specific end user. X-ray tubes are sourced from Comet, Thales and Varian. Please contact Euroteck to discuss all your constant potential X-Ray requirements.